Wizards everyone knows these assignments can bring you; tickets, crowns, gold and special prizes, Well Now until August 11 , 2016 You can get double with this new members benefits! Sooo... If you haven't started them and your a member, now is the time to start them.! 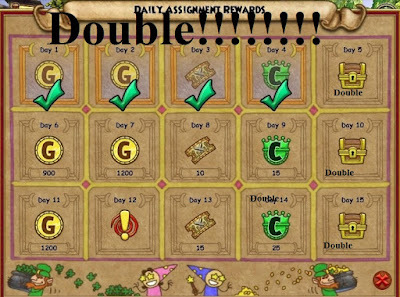 If your not a member and have been doing these quests???? 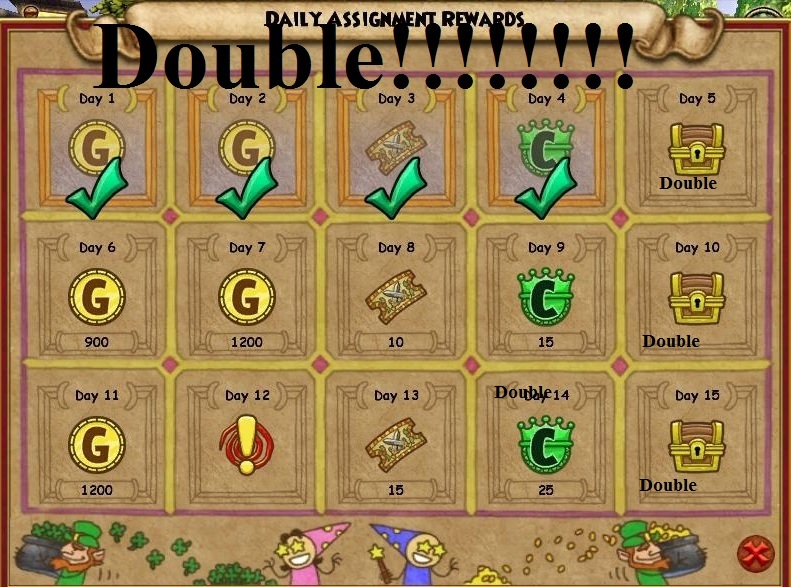 Its time to get those double rewards by getting your membership. 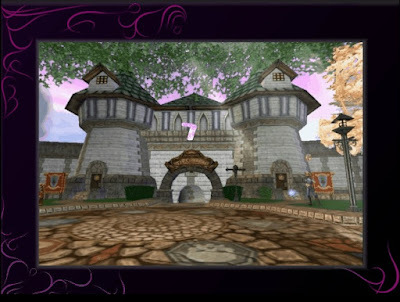 Seventh Best Little Dorm in Wizard City- Winners!!! Judges were so pleased to see so many great dorms this year. You all gave them a run trying to find the best dorms. Some made us laugh, cry and simply go wow. I can tell you every dorm was a winner even though only 53 winners can be chosen. Excellent job everyone! So without mumbling on, here are your Seventh Best Little dorm in Wizard City Winners! Long ago, the Covens decided to destroy the allies of the ravens by eliminating neighboring bird kingdoms one by one. They feared that their allies would betrayed them, so they begin to siege war with the other bird kingdoms. The Ice Birds, the most sophisticated users of ice magic at the time, were warned by Grandmother Raven of the threat that will befall to their kingdom. She guided them to a mysterious land filled with crystals, snow, and magic. It was a land between the the auroras of Polaris and the cold of Wintertusk. Although it looked abandoned, the Ice Birds were not the only ones who were here, but dragons also lived there as well. Grandmother Raven made a promise to the dragons that they'll help each other in times of need, so the dragons took the role as the guardians of the Ice Birds. The dorm itself takes the physical representation of cold, but it's with magic that the cold shapes itself into this winter wonderland. In this wonderland, there is an abandoned tower that serves as the main authoritative power for the royal family and its contributors. The ice magic in the air was so abundant that they crystallized into crystals that powers the land's food and water. 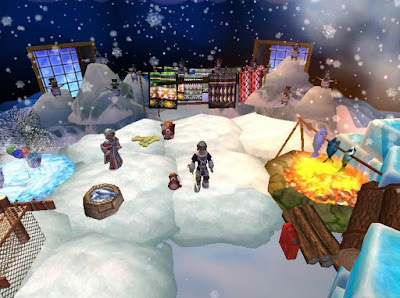 The dragons, since the beginning of the formation of this wonderland, have been maintaining order and magic output so that it turns into a suitable living area for ice magic user by regulating the blue fire on top of the crystal caves. Although, the biggest crystal is the gate crystal which is used to teleport objects from the Borealis Peaks to the Ice Bird Village. No one knows how to necessarily activate it, but legends says that a key forged from the roots of special tree is needed to open the gate crystal. The craggy apples are picked daily by the Ice Bird for food and the water is provided by the crystal fountain where the berries inside of the fountain are believed to be the richest in flavor! They adapted to their new environment and created a new village where they live to this day. The Ice Birds continue their life in the cold,icy area keeping in mind the gratitude they felt towards Grandmother Raven. For the balloons, the regular WC balloons acted as berries for the offering to Grandmother Raven. The are located in the basket at the Grandmother Raven altar where they are given to her, along with a few other items, as ceremonial gesture of gratitude. The clotheslines that were used are star clotheslines located at the tower. They are used to signify the royal family, but they also act as perches for the Ice Birds. The Dog Biscuit are used as gold and are placed near the chest right of Grandmother Raven. 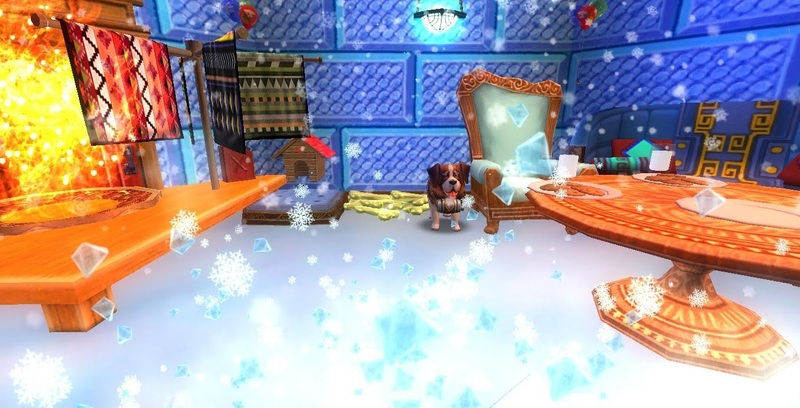 Ice Birds, like all birds, like to pick up shiny stuff and so they found those Dog Biscuits! The question remains, why is a golden bone located here, possibly from the original owners of the tower? The gas cans that were used are jerry cans. They are located in every small standing lantern. The Ice Birds use them as a postal service and landing mat for their houses. The flickering flame item used for the dorm is the water-mole torch located at the crystal caves. The dragons safeguard this flame since the flame of the torch allows the area to be habitable, otherwise the area would be so cold that nothing could live there. 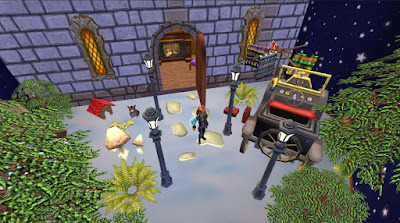 The flame also helps the air concentrate into crystals for the village by manipulating the temperature and magic level to create solid magical crystals. 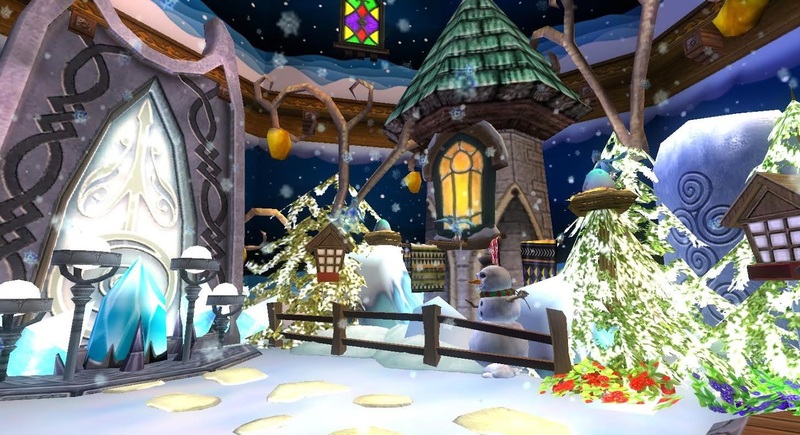 A paradise for the Ice Birds and inquired by others; a mysterious village in a winter wonderland, is it truly all a fantasy or quite possibly reality? I begin to worry the end may be drawing near. I still can't believe this happened. It was all going so well, everything was routine as usual. 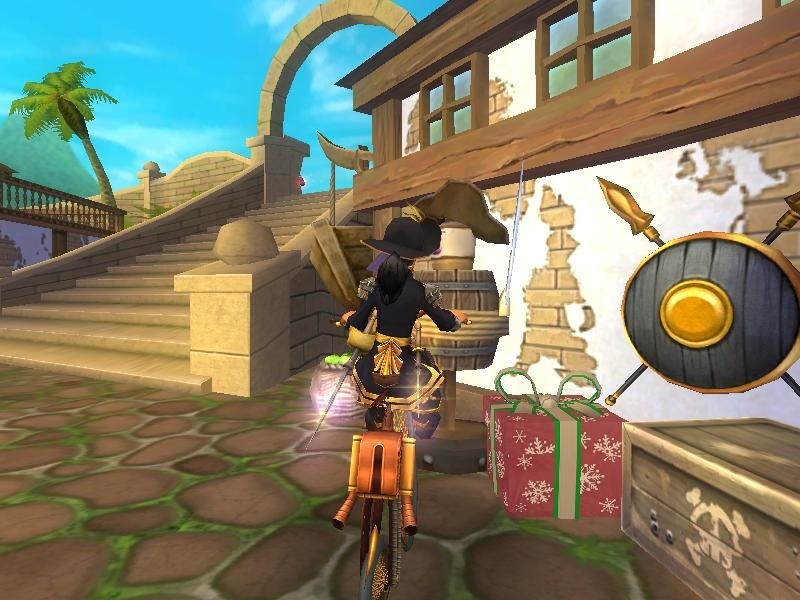 I was driving my shipment of balloons and party supplies from Polaris to Wizard City. I was about halfway through the Perilous Pass when disaster struck. A rockslide came from nowhere, and has trapped my horse Mittens and i in the pass. We've no way to get out, and things look bad. Our supplies won't last forever, and the shipment of balloons can't afford to be late. I must now hope some traveler comes along and brings a rescue crew with them. I won't stop hoping. I should take this time to assess my supplies and see what is left. Luckily, the balloons haven't yet deflated. I've decided to keep them in the cart with the other party supplies, in the hope that they'll survive longer under cover. I have plenty of coffee left. I've decided to build a small campfire and heat some up over it. It will help to keep me warm. I'm lucky i still have a full can of gas. It will help to keep the fire big and warm for longer. In an effort to signal for help, I've taken some branches, and fashioned them into a clothesline, which i then draped several of my sheets and blankets over. I've placed it near the edge of the cliff, where it can possibly be seen. I've read there's a village around here. Perhaps they will see it and come to my aid. Unfortunately, i've run out of pony chow for Mittens. We'll be okay for a while yet though. Unfortunately for her, this means she'll have to grow accustomed to the taste of dog biscuits. I do hope she doesn't mind too much. 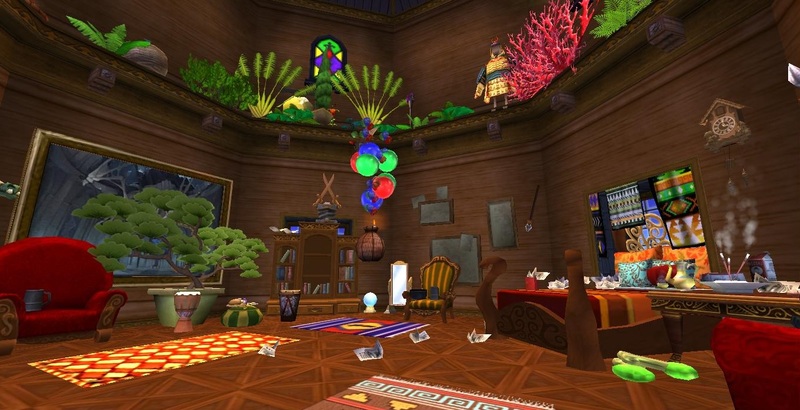 As many of you know, the Cheesiwitz family recently left their cozy home from Marleybone to explore the spiral. Most of you don’t know this, but they are actually neighbors of the Professor from the BOXES event. He encouraged them to come out of their house and explore the vast world of the Spiral. Along their trip, they met variety of creatures varying from Olyphants of Zafaria, to the ghosts of Dragonspyre, and even the mouse knights of Bastion. One day, while the kids were playing near the Moon Cliffs, shadow weaver sorcerers attacked the nearby village of the bees. During the fight Mama and Papa fearing for their kids safety they went after them. In doing so they were severely injured but the kids escaped unscathed by hiding into a cave. The Professor after hearing the news from Allan Ghostdust, secret agent of Council of Light, felt responsible and contacted me, a Life wizard, to help the parents recover. After a day, the Professor and I created the Cryogenic Lab in my dorm, to prolong the deterioration of their organs as well as stabilizing their health, while we find a treatment for their injuries. Cryogenic process works by studying the effects of material by lowering its temperature due to this a constant cold temperature is required in the dorm. To maintain the same temperature a vestibule was created from start of the dorm to the lab. This vestibule is in picture A, where the temperature is turned up by the lit furnace (flickering flames, right side), which keeps anyone entering the dorm from freezing. It is also the location of my pet corgi along with his house and his favorite dog biscuits. On to the left are some blankets (star clothesline) to help bundle you’re self-up before you go in. Beyond that are the air storage tanks and meter. 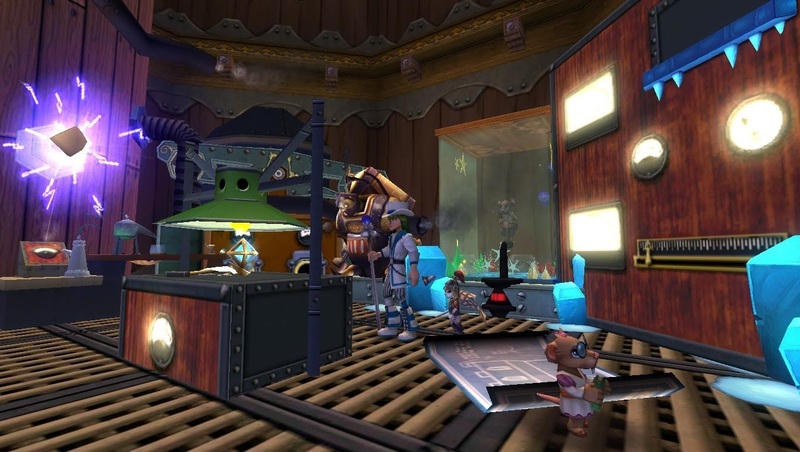 After you enter the glass doors, in picture C, you notice the power source for the lab on the island table. It sends energy to the Tesla coil which throws sparks flying through the air. It provides power to the giant meter on the right which controls the cryogenic process. In picture C and B, if you look close enough, you see Papa and Mama floating in the cold liquid chamber. They are surrounded by blue bubbles (Balloons) which provide oxygen to Papa and Mama. In picture B, you notice the giant tank next to Mama’s chamber. This tank cools the liquid and requires fish oil (gasoline cans, right of Mama’s tank) as its fuel. Until the treatment for both Mama and Papa has started, this lab will stay running, thanks to the detailed construction of this cool little dorm. After many months of- yet again -saving the spiral, a wizard with a dream opened a small shop in Walruskberg. What was that dream you ask? To serve the best sushi in Polaris (a tall order, as Pinguins are picky about their fish). He had been working on his secondary profession for a long time and so, armed with a special degree in Musushi preparation, he opened his restaurant. His kitchen is a bit of a whirlwind. 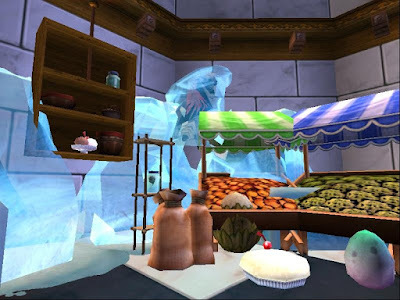 In addition to the perpetually wintery conditions in Polaris, the wizard’s kitchen is essentially a large refrigerator with sub-zero temperatures and magical snow, a perfect place to keep the fish fresh. Snow drifts and massive blocks of ice have formed around furniture. The chef doesn’t mind this too much- wading through the snow is fun -however, as he is as warm blooded as you or me, he constantly has to wear furs to keep from freezing. The sink is carved from a single block of ice- the water constantly freezes in the tubes so it doesn’t work very reliably -as are his storage shelves. Looking a little out of place next to all of his icy furniture, three prep-tables for storage and for food preparation, are made of hand-carved wood (After working with ice tables for a month, the wizard was tired of his fingers sticking to the bowls after they had sat on the counters for even a short time). To make up for the fact the tables aren’t made of ice, ice cream sits waiting to be served on a specially installed cooling pad in the center island. 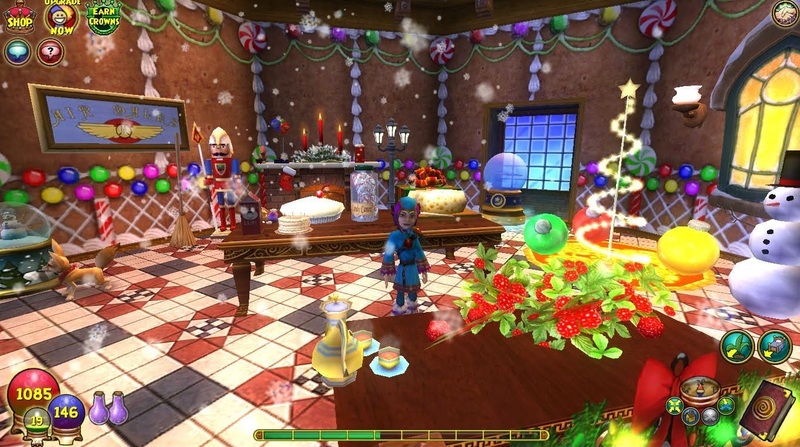 Throughout the kitchen, shelves hold supplies- such as plates and bowls -and ingredients, such as peppermints, candy canes, and mandrake. Baskets of fish can be found throughout, as well as a special fish drying rack, accessible via ladder. The most striking feature of the kitchen is the massive fish tank, so that some special recipes can utilize the freshest fish possible. However, as the tank is so big and the water so cold, the chef must dive using heavy equipment in order to catch his fish. Currently, a cold cod swims alone in the tank, because the wizard simply hasn’t had the heart to catch him yet. His little scarf and hat are simply too cute. As this is a sushi restaurant, the wizard doesn’t have much need for a stove or anything hot at all. However, providing a small amount of heat in the kitchen, is a striking large cauldron for brewing batches of specialty soups- Miso soup in particular. Sushi creation is a fairly messy business, as tools have to be cleaned between uses and the chef’s hands are constantly covered in fish and sticky rice. The solution: installed above the chef’s second prep table, a Star Clothesline provides three prongs to hold all of his dishtowels and one them can be seen swaying a bit from the cold drafts swirling around the room. While the wizard’s main ingredient is, of course, fish he occasionally likes to experiment with garnishes. His current obsession is crushed dog biscuits and he has large sacks of them. If one looks closely you can see that unfortunately some have fallen out of their sacks and onto the snowy floor! Diving for his fish is an important aspect of his business and also a hazardous one. Should his gear fail he could freeze to death or drown, so he must keep all of his gear is top condition. Every few months the tanks need to be refueled, so it is necessary for the wizard to have a gasoline can on hand. Just in case something should fail or the lacks the strength to return to the surface, his diving tanks are equipped with balloons, which can be inflated or deflated with the push of a button. We now know where the Gobblers come from! Very Cute use of the Balloon item. Most people think of Gobblers as evil creatures who will eat through anything and everything, but they know how to have fun too. They love cold environments and places with as much food as they can possibly eat, and Gobblertown is the perfect place. It’s snowy and icy all year round, and also filled with piles of food and cold sweet treats from gingerbread to frosty ice cream sundaes. Gobbler paradise. Of course, what would a celebration be without balloons? Piles of candy are everywhere, along with colorful balloons, banners, and streamers. Warm, colorful blankets complete the festive decorations. Gobblers aren’t always the neatest and absolutely hate cleaning, so of course there are some fish and meat bones lying around. A cauldron makes the perfect place for their favorite meal, fish stew. 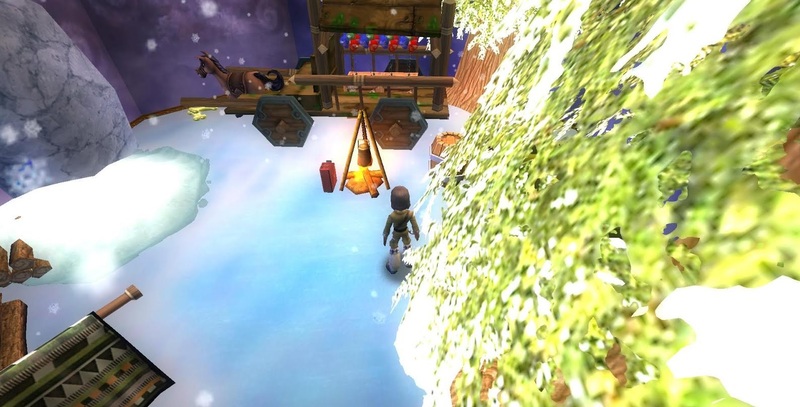 Some various supplies can also be found around Gobblertown, including a hammer and some gas in case the fire runs too low. So don't forget to come on down to Gobblertown! WOW! 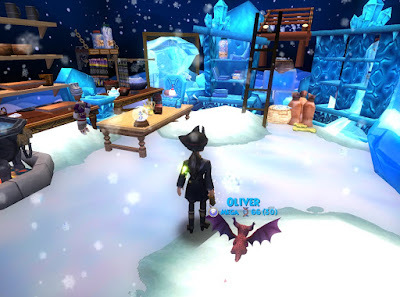 Magnificent imagination, love how the theme "Cold" was used in this "sick room" to "fight off a cold". Job well done! Even adventurers who travel the Spiral get sick every now and than. This world traveling adventurer is taking the day off from saving the Spiral to fight off a cold. While most of the room is well kept, today amid the souvenirs and books collected are scattered tissues overflowing from the trash can . Even with soup and tea nearby are there and waiting, ready to help ease the symptoms, a cold is no fun no matter who you are. 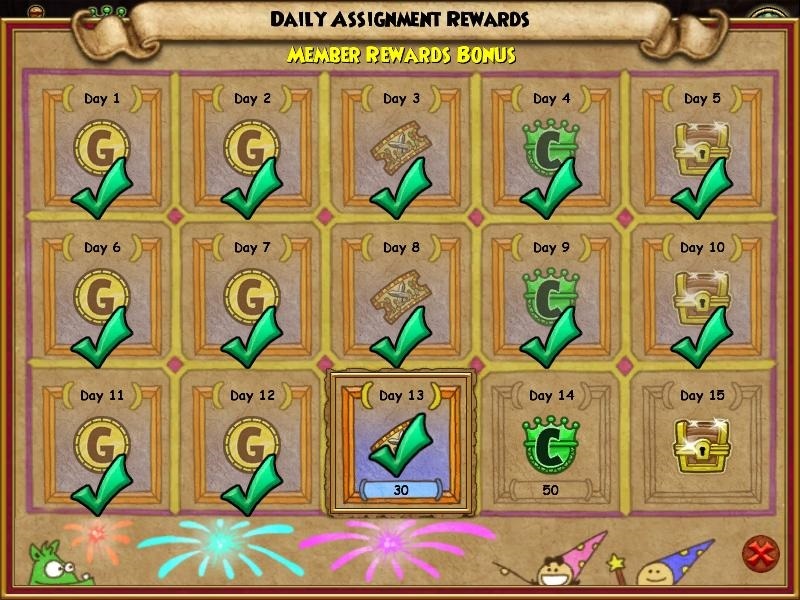 Hopefully this adventurer will get lots of rest and be back out saving the Spiral in no time. ACHOOOO! I had fun with this. I started with the gas can by turning it into a tissue box. It is set on the bed close to the resting hero with the cold for easy reach! Next, let's face it, when you are sick, slippers are everyone's best friend. The dog biscuits along with green gems were used to create the slippers beside the bed. The clothesline was used for curtains to block the light that always seems brighter went ill. The balloons were combined with a basket and ornaments to create a working modal hot air balloon and a flickering candle in the basket to give it lift! Wonderful imagination and the dorm is superbly done. Night has fallen in this quaint little city block of the Spiral! 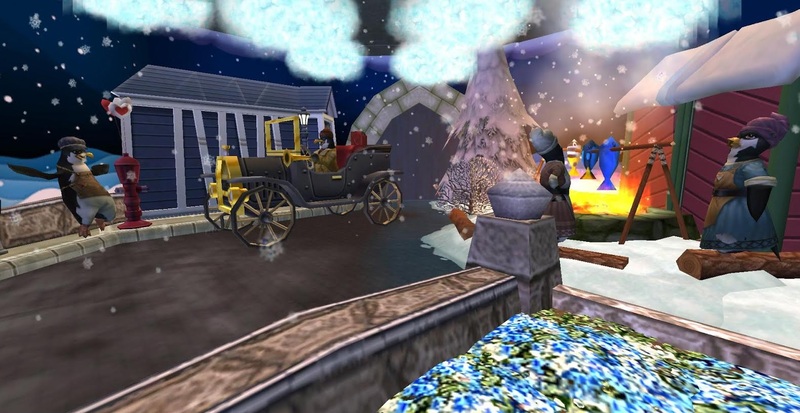 While a fresh layer of snow is just settling in, most of the citizens have retreated into their homes after a long day of work. 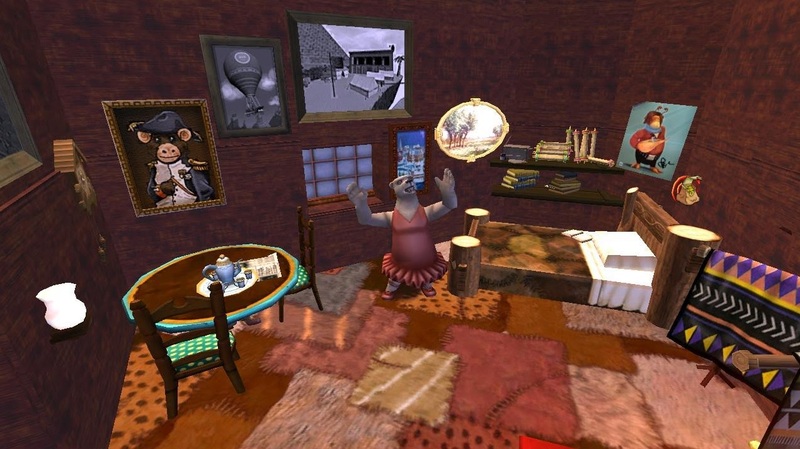 However, Jimmy here has nowhere to take residence, as he is not a student of Ravenwood School (nor is he of the level 15 requirement to purchase a home). Jimmy is a very resourceful person, as he has created a small fort complete with a queen sized mattress, sewer beetle pets, and a crushed can collection, all buried underneath one of the city's oldest bridges! As a thin film of frost begins to coat his beard, this patient hermit realizes that his living plan may have not of been the best of ideas. A sudden idea pops into Jimmy's mind: He should go enroll tomorrow morning at Ravenwood to learn fire magic! Not only will he have a better place to rest, but he will never have to feel this chilly at night again! Knowing that tonight will be the last time that his eyebrows freeze, Jimmy rests his head on a newspaper and falls asleep. Venture through Jimmy’s shivering abode to find quite the assortment of odds! City residents often walk by the bridge, dropping trash, such as uneaten food (Dog Biscuits) into the pit below. One time, a businessman filled up his automobile with a can of fuel, and tossed it down right past Jimmy’s head! (Gas Can). He also once dealt with a balloon salesman to get a nice piece of décor for his bedroom! (Balloons). The rest of the city block is not nearly as inspiring as Jimmy’s unique setup, however. Some silly passerby accidentally used a fireball spell on a nearby trashcan, setting its contents ablaze! (Floor Torch). One of Jimmy’s neighbors also hung up some expensive sheets out to dry from a wash, not realizing that the weather forecast called for snow that night. 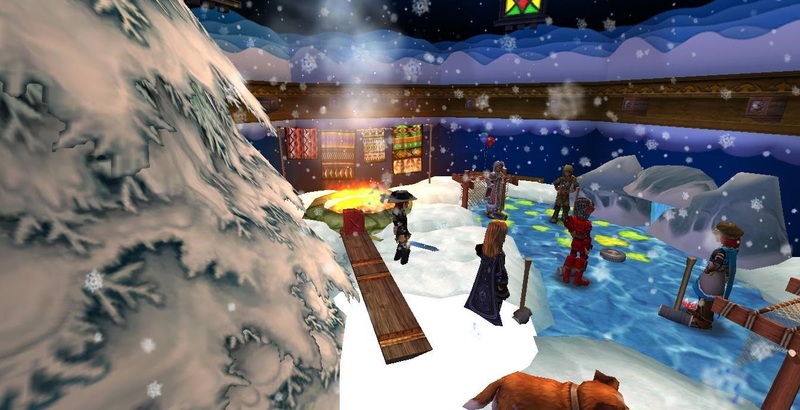 While the townsfolk may not be a perfect bunch, Jimmy feels warm to be here despite the bitterly cold scene laid out before him. I enjoyed the story, and the aurora borealis was a great touch! In the blistering heat of summer, the penguin family is faced with the challenge of staying cool. When they purchased the Magic Air Conditioner 5000 from bazaar, they never thought it would work so well. It was recommended by Elik the shop owner, but they soon found out it worked a little too well. This was the largest unit at bazaar, and it takes up an entire window length of the dorm. The penguin family selected it because of the little snow globe built into the machine, which reminded them of home. Initially, the cool air coming out felt nice on their feathers, heck an aurora borealis formed near the ceiling! Although, something was wrong with the unit they bought; it was too powerful. It soon became way too cold-even for penguins! Their fish storage was frozen solid, and they couldn't melt it. To thaw out some fish and enjoy a little summertime warmth (which for penguins, is right near freezing) they built a campfire to provide some heat. Now the dorm was just perfect for them to enjoy their fish, and still cold enough not to melt their ice cream sundaes. The penguin family can still celebrate their summer festivities, even if they are surrounded by snow. There are enchanted balloons which hold up baskets of floating fish for the penguin family, these birds can be quite lazy in the summertime. All that's left to do is peck out a tasty fish thawed out by the campfire. The family pet is a beloved seal pup (yes,penguins own a seal pup) and he loves his dog biscuits more than anything. An array of warm blankets are readily available for visitors, who can't handle "summer cold " like a penguin. It turns out the magic air conditioner isn't magic at all, that cunning Elik lied. It uses oil for fuel, most likely imported from Polaris. I hear oil is cheap there these days, he must be getting a bargain! Hmmm, maybe half price on firewood, Elik? What better way is there to spend a cold, dreary day than reading or watching a movie and what better place is there to exemplify the cold than a dark, spooky cave? The batcave is a combination of both of these, a cave plucked straight from the pages of a comic book and from the set of a movie. It is the headquarters from which billionaire Bruce Wayne a.k.a. Batman takes on the criminal underworld of Gotham, or in this case, Marleybone. The cave is complete with an elevator up to the Wayne Mansion, a weapons forge where he is currently working on some kryponite weapons, in case he runs into any evil supermen (or supercats? ), a strategy development area with all the wanted posters and blueprints of the safe houses for the major crime bosses of Marleybone, and not to forgot, his batsuit standing in front of the iconic bat emblem. Well for my dorm theme I decided to go with a bit unusual topic. When its hot outside (like unbearably hot) what better way to stay cool than binge watching Netflix. I like to watch a lot of shows and movies that involve castles (and cold places.) So I welcome one and all to Castle de Tundra! Its a perilous journey through the cold and snow, to the enchanting castle. But hey its a way to cool off from the heat. 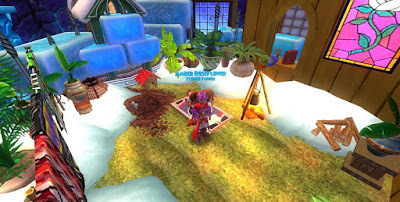 Welcome to Lydia Greyrose's Summer Igloo Retreat! The name explains it all. 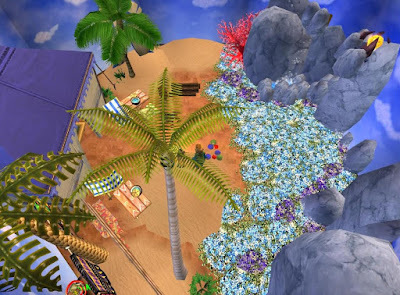 This is a place to go to to retreat from the summer heat. In here, there are so many things to do to cool off and get away from Falmea! There will always be treats to enjoy! On the left side of picture A, you can make your own Snow Cones! From the huge chunks of ice, put it into the machine, and it will shred the ice into the basin! Then, you can get your drinking horn, scoop up some ice, and dip it into the any-flavor-you-want syrup! Don't want that? 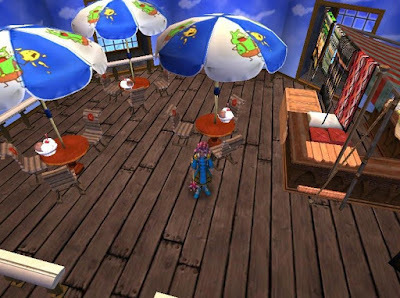 Well next to it, you can get a tasty coconut drink, or some wonderful ice cream! Not up for that either? Well then we have iced tea. If you're not here for the food, then you must be here for the activities! Next to the food is snow. 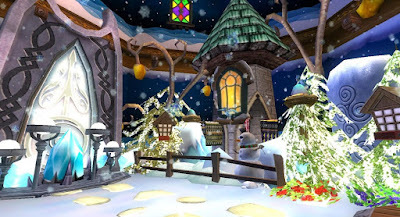 It is snowing everywhere in the dorm, but for some reason, Lydia make snow only collect here. 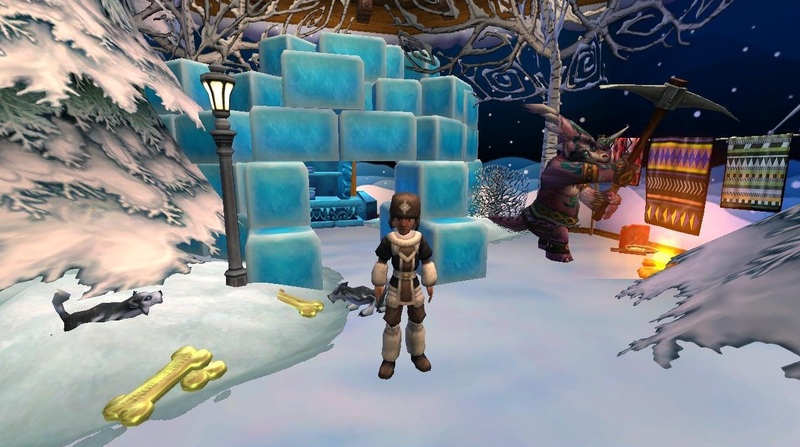 You can play in the snow or make a snowman like Greyrose has. If you're a fisher, then you can have your fun here too! Only...it's ice fishing. 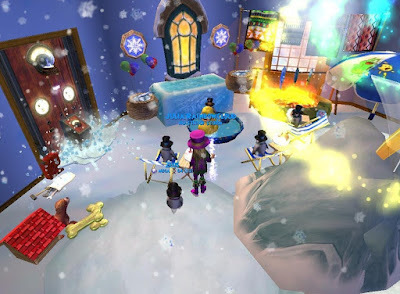 But the main attraction of Lydia's dorm is in the middle, the Icy Tornado. Don't worry, it's harmless. Every 20 minutes, the Tornado will activate itself. If you are in it, then the tornado grows bigger and bigger into an actual tornado, just made of ice. It will have no effect outside, but if you are in it, you will be spun around! As you are spun, you can create your own snowflake souvenirs or have a high speed snowball fight inside it. After about 7 minutes, the Tornado deactivates itself by engulfing everyone. The wizards inside it are then polymorphed into Snowmen. But if you don't want to do anything and you just want to escape the summer heat, you can come and relax on the couches in Lydia Greyrose's Summer Igloo Retreat. I knew it was a bad idea to buy a house next to a fish factory. 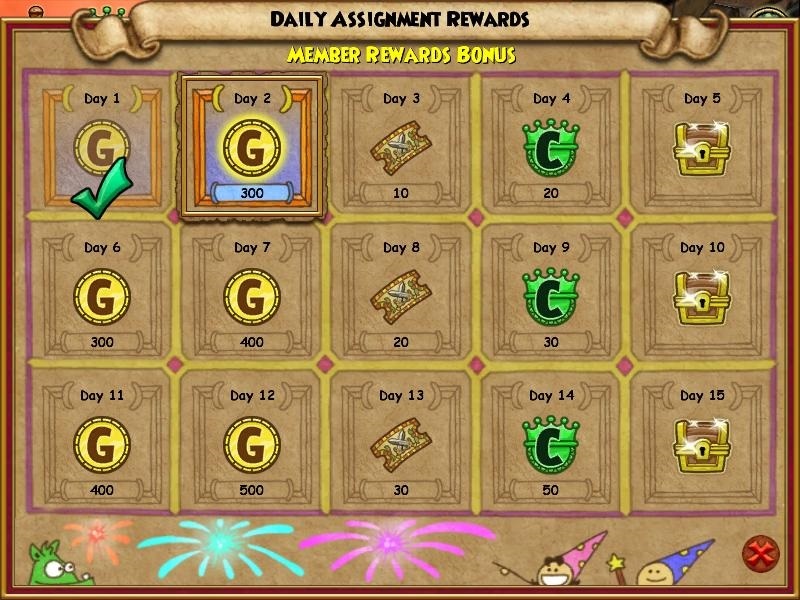 Everyday tons of trucks are delivering fish caught from the waters of Grizzleheim. 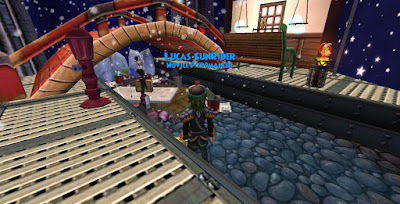 Because there are so many fish, they are constantly having to freeze them before they are shipped to restaurants in the other worlds of the spiral. All day long ice blocks are being made, most contain fish. They just keeping making ice, fish or not, to keep the factory and the outer grounds cold. Because I live next door, all I see is ice. I go out into my courtyard where I keep my dog, and all I see is ICE and FISH IN ICE. Its so cold and the view is terrible. When I saw the theme cold, I immediately thought of the two possible usages for cold. Cold more often than not is associated with a freezing temperature. However, you can also associate it with the feeling of loneliness. I have written my paragraph from a point of view living in Polaris. Throughout my life I have danced all over the Spiral, no one really asked me about my lifestyle. I guess my dancing has left them speechless. I'm a Polarian Dancer and today's your lucky day; you'll get you to know the lifestyle of us dancers in Polaris. The first thing I must say is, it's extremely cold here. Even as a Polar Bear my bones are chilled. Not only that but it also can be quite lonely out here. You see, I live in a small cabin. It's far away from the mainland. All I have is Sir Fluffy, a penguin, and my parakeet, Jr. Green. Why don't I just give you a grand tour of my cabin? Welcome to my Cabin Sweet Cabin! (Start with Picture A) The first thing you'll notice are my pictures from my dancing career. I started my career in Polaris; as young as the age of 5 years-old. Fascinating, no? Behind me is a picture of Walruskberg; it's where I spent the most of my time as a dancer. On rare occasions, I get requests to dance in different world around the Spiral. Here's a picture of a campsite I danced at in Krokotopia. Over here is a painting of Admiral Monkey Bear who requested me. He's from...err...yes. Anyway, isn't this picture of an airship great? It was from the time I danced for the queen, herself, at Barkingham Palace. This picture over here is a landscape from the time I danced in the countryside of Marleybone. What? Rock Lobster's poster? Oh..Um.. That's Sir Fluffy's...Moving on. Would you like some tea? You can read today's paper too if you'd like. Now to this side; this is my vanity(Picture B). As a very famous Polarian Dancer, my look matters the most. I must always stay in top shape. Here is my fireplace. The one and only heat generator in this cabin of mine. Couldn't survive without it. Dog biscuits? oh, those are Sir Fluffy's. He has strange tastes. Oh, and how could I forget! Here is Jr. Green. Isn't he pretty? But enough of the inside; out here you'll see my Marleybonian Driller(Picture C). Polaris is an icy place, so much that I need this driller just to get through the ice so I can get to work. Oh, Sir Fluffy, are you trying to fly again? The life of a wizard is exhausting and hot work. 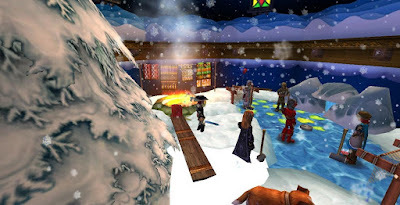 Whether it’s questing around all that lava in Dragonspyre , pvping those fire wizards or keeping a team alive during a Darkmoor run, a life wizard’s job can often be a sweltering endeavor. What’s a wizard to do? Time for a break to cool off! Iridian takes a vacation at Shivery Sea with her dogs, Mister Morgan and Sandy. All of them like to play in the cold surf during the heat of the day. There is a kaleidoscope of handmade blankets hanging on the line to wrap up in when they get out. When they’re not playing, they comb the shoreline for colorful bits of sea glass which feel nice and cold to the touch. She takes a break with a frosty fruity tropical drink. Who can resist a drink in a coconut with a cute little umbrella?! She gives the dogs their crunchy biscuit treats. As the sun sets behind the rocky shoreline, a damp chill sets in. Iridian brought along some gasoline to carefully start a flickering campfire on the beach. Nothing is more relaxing than an evening by a cozy fire listening to the surf. 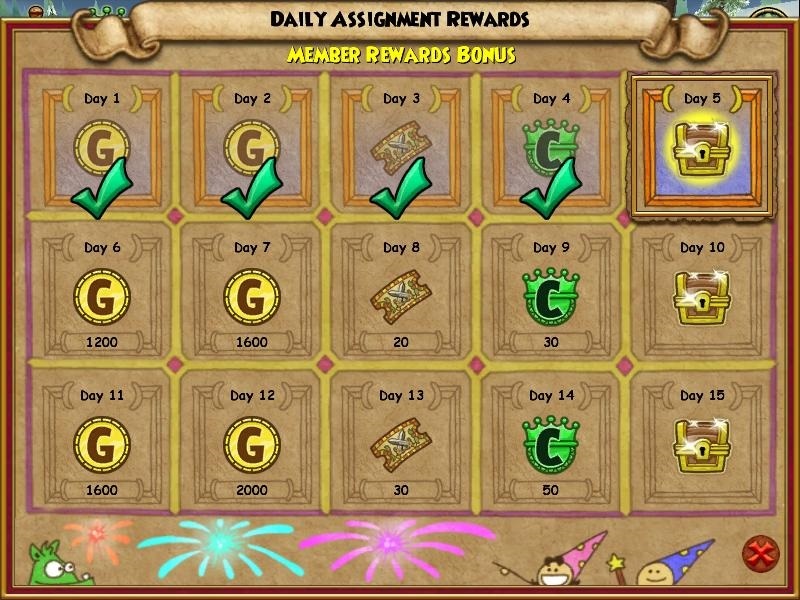 With a break like this, Iridian will be refreshed and ready to return to saving the Spiral in no time! Cold can be many things. It can mean freezing nights with ice and snow, or simply a chilled, frigid wind among the fallen leaves in Autumn. It can represent cruelty, indifference, or emptiness. In my humble home, it is keeping warm throughout the snowy, white weather that lies outside during Christmas time. The tree is stacked with presents and a jar of candy canes nestled in the faux snow cover surrounding its base. Come, take a break and sit by the fire. Do you like the stockings? I knitted them myself. The couch is very comfortable, it's red velvet all the way from Wysteria and has the fluffiest of pillows. Oh, my apologies. Let me move these books, and-- AH AH AH! DON'T TOUCH THE COOKIES! THOSE ARE FOR SANTA! Anyway, what were we talking about? Ah, I see you've noticed the gingerbread house. It took many hours to get it just right, that's homemade vanilla icing right there. The candies are W&Ws and peppermints. I even made the paper cut outs that go on the displa-- NO TOUCHING IT!! Oh, why do you look so startled? And do close your mouth, unless you want to catch flies. Oh look, Christmas dinner is nearly ready. That's potato soup cooking on the gas stove, and we've got turkey, gravy, and stuffing to go around. We've got some egg nog as well, and some cherry pie and peppermints for dessert. And of course, I must thank you for bringing the appetizers. Speaking of which, forgive me, I really must go and serve the food now. A plate for you, and for you, an-- NO TOUCHING THE FOOD!!! THAT WASN'T FOR YOU!! YOU'RE JUST THE PIZZA DELIVERY GUY!! Well, have a nice evening! Here's your tip. Oh, your hand is shaking. You may want to see a doctor about that. Bye! Greetings, good sirs and fine madames! The name's Victor Grim. I'm an old man with simple values. I work my days toiling in the chilly northernmost parts of Darkmoor, digging graves. Now that might seem like a "grave" job but, all cringe-worthy puns aside, I quite like it. I prefer to keep to myself, and digging graves is a perfect way to do that - after all, the people I work with never really have anything to say! 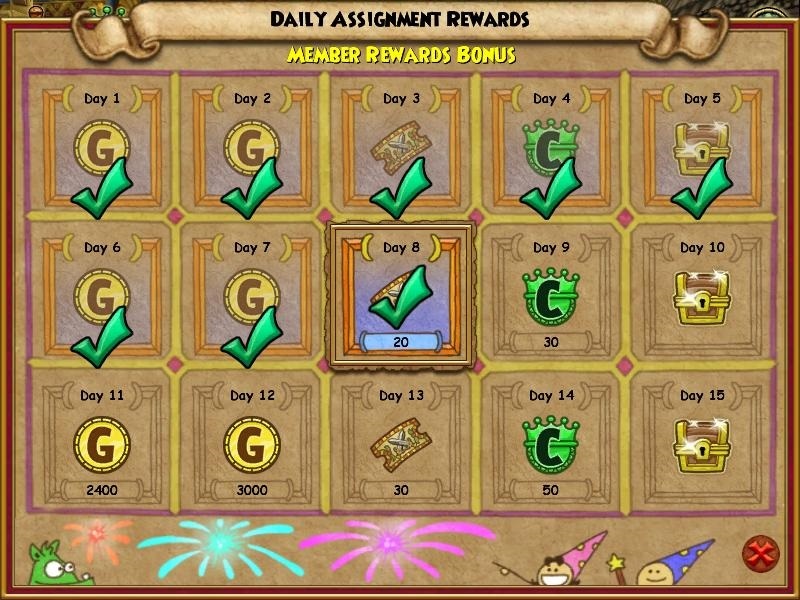 Digging graves might be nice, but Darkmoor itself certainly isn't. It's freezing here, and the sun never shines, so I keep my cauldron boiling at all times. When it rains it pours, and the ground is so cold that a thick layer of ice forms across it all. There's also a constant biting wind, blasting through the forests and rustling the branches. The winds bring a chilly fog, always twirling around my feet and about the clearing, smothering all in its wake with a thin layer of frost and dew. It's certainly a very chilly place, not only in temperature, but also in emotion. Very few people pass through these parts, but when they do they don't normally have good intentions... I've had to fend off quite a few angry spirits to say the least. The world we live in can be cold and cruel, but many of us live in a bubble; pleasant things are taken for granted. The cold contrasts what we have in this world and lets us see how full of life we really are. Many flying birds dread the cold and fly south in search of warmth. The flightless will instead let the cold weather fly, for they have the warmest of hearts. Though they don't have the best, they make the best of what they have. You see, the cold doesn't have to be bone-chilling nor freezing. It's simply a lack of heat. Instead of looking at the cold as heat-draining, think of it as a way to spread warmth while trying to balance out. "There’s one thing that just screams COLD to me and that’s Christmas time! The Christmas break comes right when we need it most: we just had finished our exams and we’re in desperate need for a down time. I stay at Ravenwood during Christmas break because I don’t want to go back to my aunt’s house, where I’m hated. I’ve been living with her and her family ever since I was a little. If you’re wondering why, well that’s because my parents were killed when I was just a toddler by He-Who-Shall-Not-Be-Mentioned, but I somehow survived that deadly encounter. They were part of a secret order who meant to stop him but he got to them first. 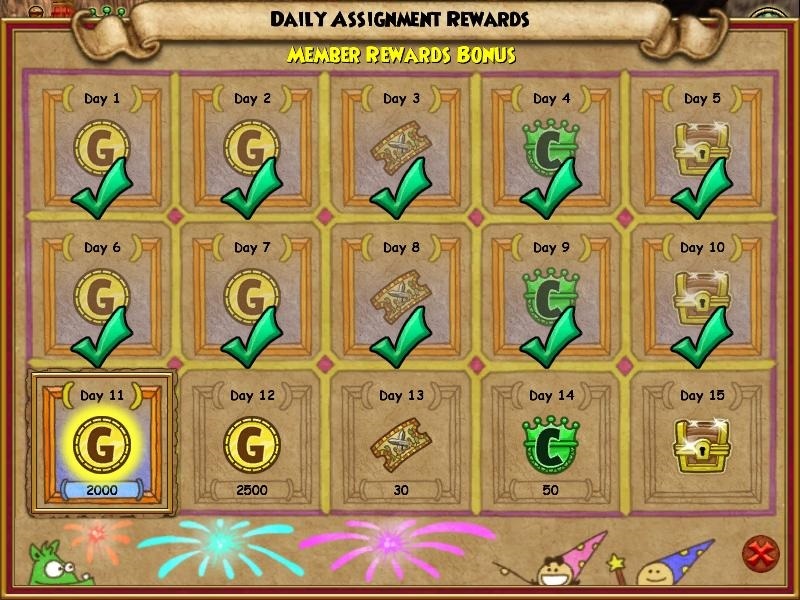 Moving on from that depressive little story (sorry if I burdened you with it), I actually don’t mind staying at Wizard City during Christmas break. In fact, I love it so much here! Just walking around Wizard City during a cold December night, snowflakes sticking to my hair and little Ginger’s tongue (he’s my puppy), wearing my favorite snow boots and mittens, it’s all too beautiful. Ice-skating is one of my favorite things to do and WC has the best lakes ever. Ginger doesn’t know how to ice skate so he usually ends up bumping into me and we fall together on the freezing ice. He’s a fire puppy so he’s never cold, but as for me, I start to shiver and sneeze like crazy. But that’s alright, because I know that my warm little dorm is just a few streets away. Oh, don’t let the snowflakes inside my dorm fool you, they’re not real. I’ve enchanted the ceiling to mirror the sky outside. But again, it’s just magic, it’s not real and my dorm is actually very warm and cozy. I always have food on the table and hot tea (with peppermint) brewing. I’m also a big fan of Quidditch so I have a Golden Snitch and my favorite Quidditch team’s poster on the wall, and my Nimbus 2000 in the corner, which I take for a ride every now and then. 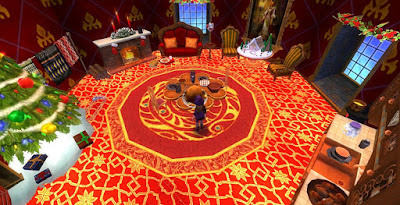 Also, the walls are made to look like the inside of a gingerbread house to make the room even more festive. Moreover, my little puppy sleeps on the bed with me at night because sometimes I dream of horrible things, of green flashes and screams. Brr, I just shuddered thinking about it. But he’s always there to comfort me and lick my face to wake me up from my nightmares. Besides, we both like to cuddle and his fur is warm on my icy, cold skin." My dorm represents one of the most basic forms of cold, which is snow, along with “cold outdoorsy” elements that brings together what I imagine when I think of the theme cold. My dorm portrays a fisherman, Connor, who fishes in cold waters with his trusted companion. 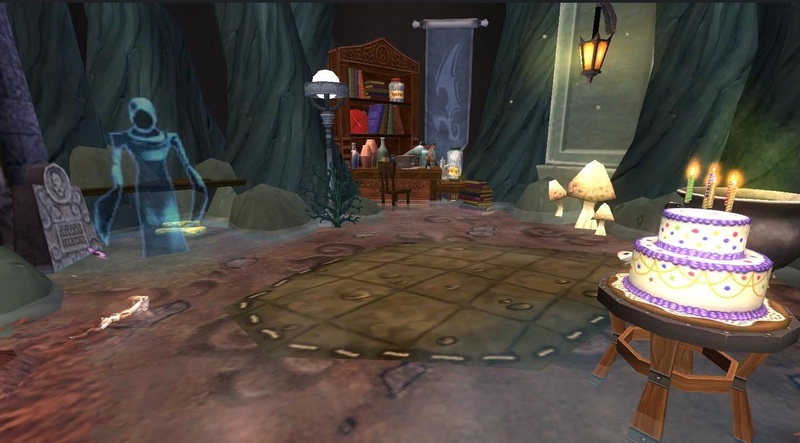 He enjoys a well cooked fish in his thick robes next to the campfire and enjoys his meal even more with a view that shadows his campsite, which is one of the most must see sites, Penguin Mountains. When Thomas thinks "cold" the first thing that pops into his head is the igloo he stayed in on a recent trip to Polaris to visit his friends the Penguinos. Since Thomas is an Ice wizard, he's quite comfortable in the more frigid climates. His friend from Azteca, not so much. The poor dino spent more time trying to hack the ice off his frozen laundry than he did singing and dancing with everybody else! It was so cold that even the help of a bonfire wasn't enough to melt his undies. But Thomas's sled dogs Sasha and Dakota had a blast playing in the snow and burying all their bones. 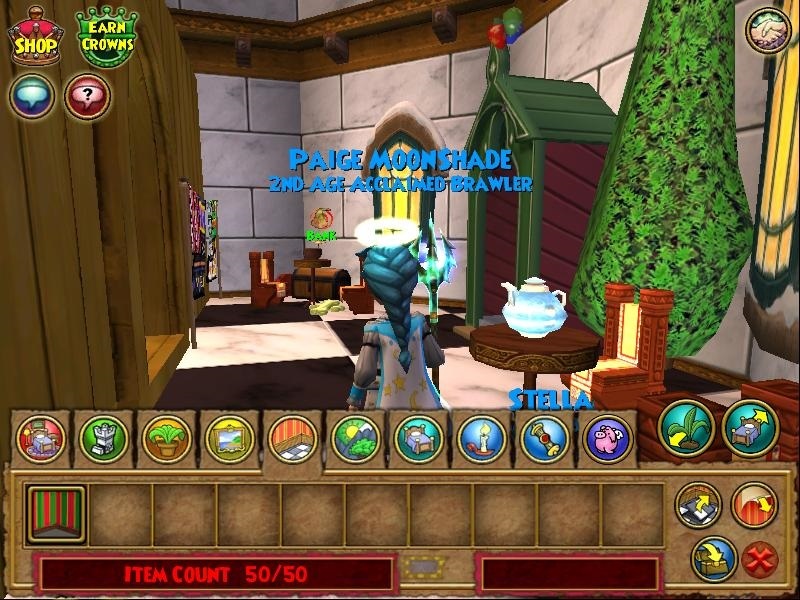 Welcome to Angela's Ice Cream Parlor, proudly serving ice cream to millions of wizards across the Spiral since 2016. There is truly nothing like ice cream to cool you down on a hot summers day. We make all our ice cream from scratch. Would you like to see how it's made? First we mix fresh cream and sugar together. Then we add some flavoring (in this case vanilla) and pour it all into this ice cream maker over here. The insides of this machine are icy cold, which causes the cream to freeze solid. Now the machine is constantly churning the cream so that air is mixed through, so that it becomes lighter and softer instead of becoming a giant tasty ice cube. That concludes our tour, now would you like to place your order? A lot of people think that there's nothing to do in winter in the parts of the world where it snows half the year. Those people are wrong. There's dozens of things to do when it's cold out, and chief among these activities is hockey. Played out on the Olympic stage in world class indoor arenas, or as portrayed in my dorm, outside on a frozen body of water, with a few friends. Few things compare to hockey, the sting of frosty cold wind, nipping your cheeks and stinging your eyes as you race on sharp steel skates, turning on a dime and hearing the satisfying thwack, of hitting the puck and seeing it whiz across the ice. I have tried to capture the spirit of fun, friendship, and cold that is fundamental to hockey, in my dorm. It shows a group of friends on a frozen pond, fed by a small, crystal clear spring. One sits out for a break, on an old, well worn bench by the pond. A dog, the pet of one of the players, romps alongside the pond's edge, barking encouragement to the kids. To the side a roaring bonfire glows warm, for the friends to warm up at when they are tired, or brew a pot of hot coco, and roast hot dogs, while warming their wet wraps. And over everything, a light snow falls, blanketing them in soft, cold whiteness. There are many things that come to mind when thinking of "cold". Obviously, most people I know would have thought about a giant block of ice or maybe the most chilly places that you can find, but for me it has never been the same. Unlike many people who think what's best is "the hotter, the better" , I've always enjoyed chilly weather. Thus what I thought of was a small retreat in the middle of the cold winter, on those days when, even if it does not snow, I just want to spend time all my m-ICE-lf and read a book next to a fireplace. It is just so great to chill all alone, with no other person around me to try to "break the ice". I obviously don't go to such places alone, I always need my car to get there and my trusty corgi (well, not exactly trusty, he keeps getting his tongue stuck on lampposts in winter). Honestly, I doubt there can be any better way to present what cold means to me. Summer is in full swing and I'm over heating . I really need something to cool off. 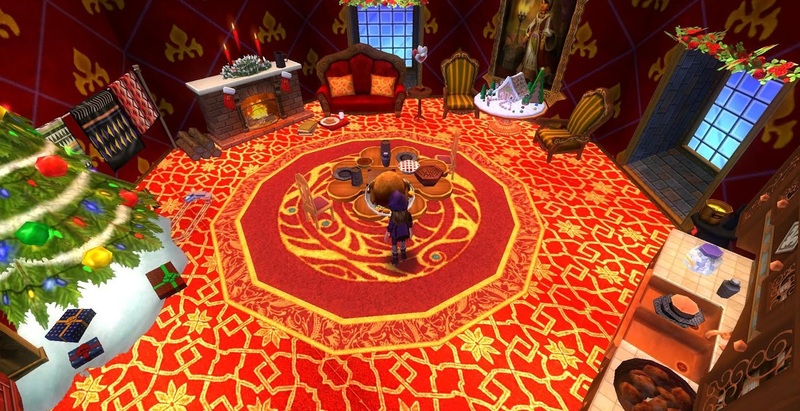 The Seventh Annual Best Little Dorm in Wizard City contest starts now! Hurry! 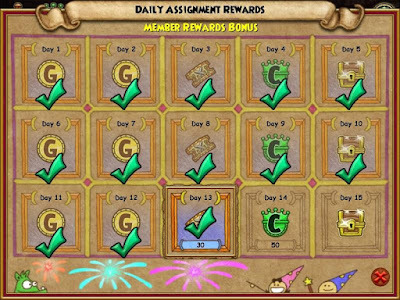 You only have until July 17, 2016 4:00 pm Central to enter. This isn't just any little old decorating contest, though. There are twists and turns ahead! 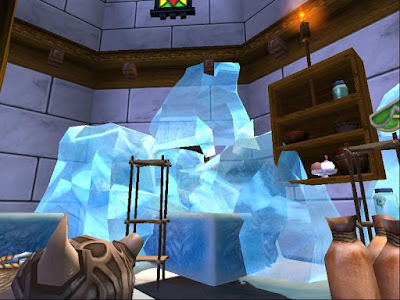 Decorate your dorm to represent what you think "COLD" themed dorm would be like. Example: What makes you think about cold? What design can you create, is it a place or a item? 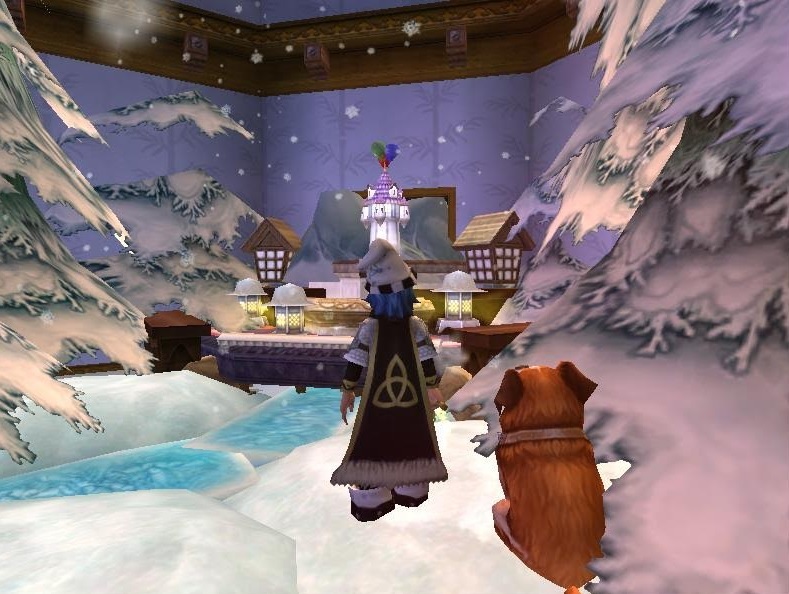 That's right Wizards, you have to design your dorm to fit the Theme "Cold". Second part of twist: You must use all 5 items below. 3. Dog Biscuts - Bazaar also can be crafted. 4. Gas Can- There are a few different types. 5. Something with a flickering flame - Just ONE! No more than one! Any item that has actual fire will work. 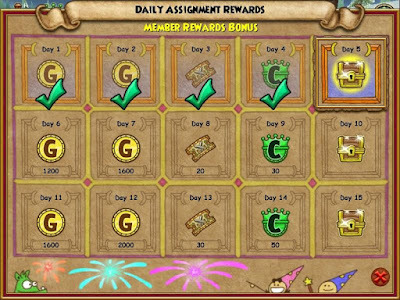 Paragraph 2 - Write about how you used the 5 special items in your dorm. Making a LIST will not be accepted. Putting an item in the corner and saying, oh I dropped that over there, doesn't give the reason why you use that item. * Using all 5 items pictured above, you must decorate your dorm to To represent the theme "COLD". 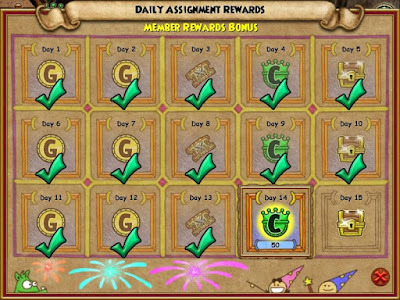 * This contest begins July 8, 2016 and ends July 17, 2016 at 4:00 pm (Wizard101) Central time. * 3 screenshots will be allowed (no videos), No more than 3. C. One best over all screenshot of your dorm room. (This screen shot you CAN use control G). * To be fair to all entries you must stay within the dorm room space. (If you use floating technique you must stay within the walls of your dorm room.) Sinking items into walls is fine. Outside (Blue areas) walls cannot be seen in screenshots. 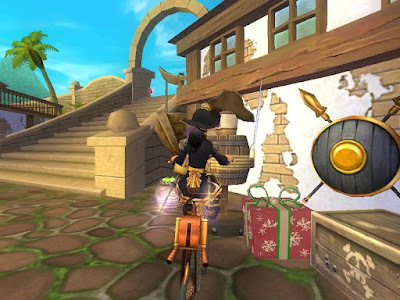 * If test realm opens, you may not use any new items from test realm. 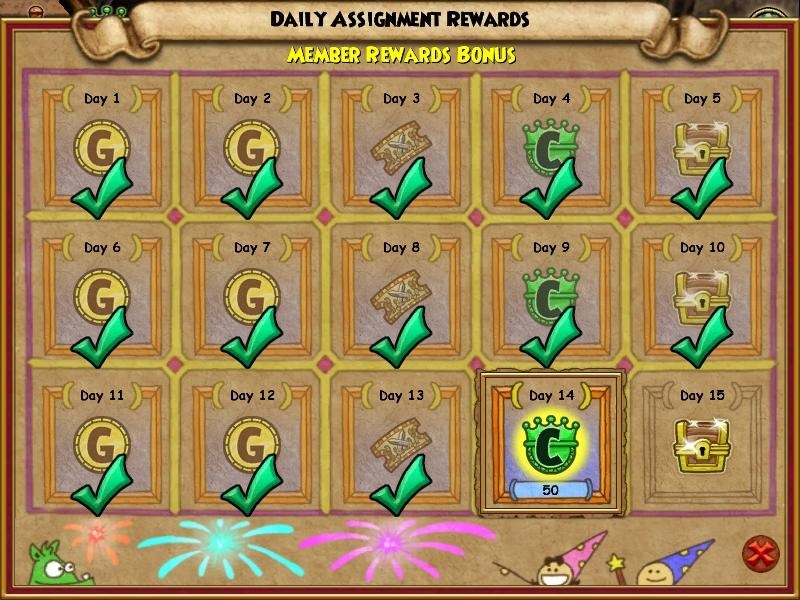 This is to be fair to those who cannot go in test realm. 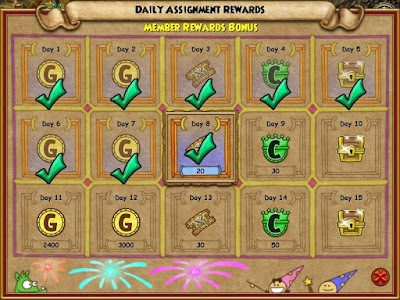 Following the official rules posted above, you will decorate your dorm in a "Cold" theme and submit with no more than 3 screen shots of your dorm along with your 2 paragraphs by July 17, 2016 at 4:00 PM Central US time. Late entries will not be accepted. Please make sure everything is correct before sending your entry in. Any entry with more than 3 screenshots and more than 2 paragraphs will be immediately disqualified. No exceptions." No editing will be allowed on screenshots, ( Do not Write on your screenshots). Please take your time and make sure everything is just how you want it. 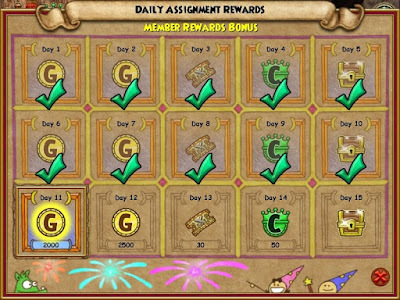 *Valid entry = All 5 items, 2 paragraphs, no more than 3 screenshots of your decorated dorm room and your Wizards name. Name must be shown in one . How to get it to show Spell book-- gear--first joystick--overhead names everyone. The meaning of Inside the dorm walls. This means You may sink items into wall for a feel but if you have to go outside the wall space to take a screenshot , it's a no.